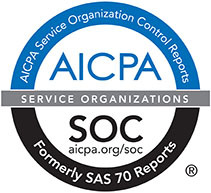 Austin, Texas (PRWEB) – August 12, 2015 – RoadVantage, the fastest-growing provider of F&I programs for the automotive industry, today announced the successful completion of its SSAE 16 (SOC 1) Type II audit. After successfully completing the SSAE 16 Type I audit in December, RoadVantage sought the Type II audit to emphasize its dedication to best practices as the company continues its rapid growth. The third-party audit evaluated the execution of RoadVantage’s operational controls and critical procedures. For more information, please visit www.SSAE16Professionals.com.